Our Print Studio supports online ordering and purchase of prints from your digital files. We use an 'Upload to Print' tool, which provides you with the ability to quickly and easily send files to us for printing. When ordering prints, you have the option of defining the print size, the specific media, (fine art paper, photo paper or canvas) and cropping, if desired. All prints are created on an Epson P9000 printer, which uses pigmented archival inks and materials. Original artwork and documents must be digitally captured before Giclée reproductions can be printed. This is a one-time process that results in a digital image file. This file can in turn be used to create fine art giclee reproductions, notecards, etc. If you already have image files, Jetart will evaluate the suitability of those files for printing reproductions. 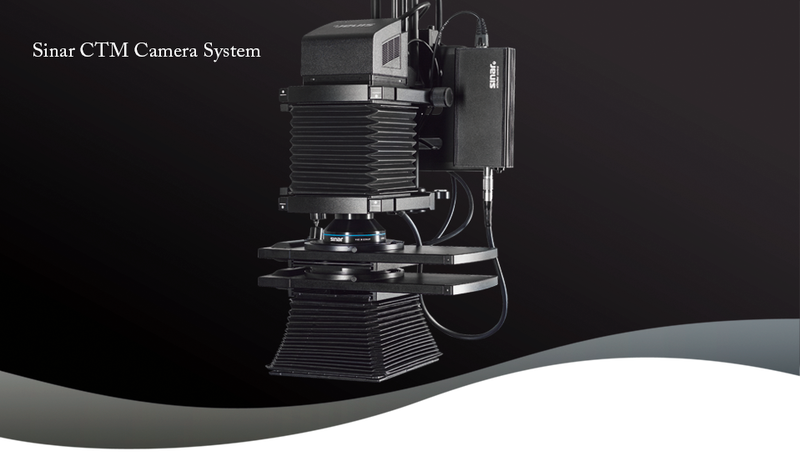 We use the Sinar CTM Camera System to photograph your artwork or documents. This camera captures artwork at very high resolution and with incredible color accuracy. Epson Hot Press & Cold Press 100% cotton rag, acid free paper in natural & bright white. Regardless of the media used, all reproductions are printed with archival pigment ink that's been tested to resist noticable fading for over 70 years. (1) All prints include a white border all around that ranges from 1" to 2", depending on print size. (2) All reproductions include a protective clear sleeve. (3) The prices above are approximate and based on common sizes, please contact us for an exact quote. (4) The prices above do not include shipping or Massachusetts state sales tax.